Man, has it really been 3 years? Though, it seems like a long way from where I started out. I wouldn’t have remembered if it wasn’t for the notice that my domain was about to expire. That was even before I met Bitter. I think my motivations for blogging back then were different, and I think this blog has certainly evolved a lot since the beginning. In the beginning I started to blog just because I had something to say, and Bitter (who I had just started talking to) said I’d be good at it. So I figured I’d try to impress her. Originally I wasn’t much concerned with having my own voice, or writing style, if you will. I wasn’t much concerned with how my blog would fit in with the community. I was interested in attracting the attention of the larger blogs, and getting them to help me grow an audience with links, and I owe a tremendous amount of my success as a gun blog to SayUncle, Instapundit, Tam, Dave Hardy and Bitter (back when she was gun blogging over there instead of here). After blogging for a while, you kind of get a sense where you fit in to the community, and what your strengths and weaknesses are as a blogger. I think I’ve developed Snowflakes In Hell to the point where it’s a reasonable source of political and legal analysis focused specifically on firearms policy and law, with a bit of a local focus on Pennsylvania issues in particular. This has brought me deeper into this issue than I ever really wanted, or imagined I’d be starting out. But I also think I’ve made some mistakes in the past three years. A scrappy, confrontational style of debate probably helped me get noticed as an upstart blog, but I don’t think it’s always been an asset as a more established blog. I know I’ve rubbed more than a few people the wrong way when that was not really my intention. I’m also frustrated by how difficult it is to use blogs and forums to coordinate and promote local, targeted, grassroots activism. There are people out there who use new media effectively for this purpose, and it’s something we’ve been experimenting with, and trying to learn what works and what doesn’t. Despite my skepticism of Open Carry as a public relations tool, those guys have a winning formula when it comes to recruiting, keeping and mobilizing a dedicated core set of volunteers. While I’ve often been critical of their methods, I greatly admire what they’ve been able to accomplish in creating an issue identity, and building dedication to it. The Tea Party movement is another phenomena that’s cropped up, which is a great example of a core set of activists being able to mobilize large numbers of people. Something I’ll be thinking in year four of Snowflakes in Hell is how to take the strengths of these movements, and apply them in other contexts. See what works, and what doesn’t. 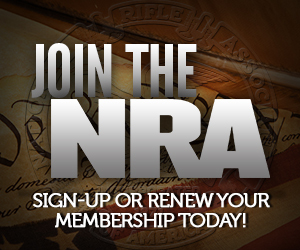 2010 will be a telling year for freedom advocates, and for gun rights. Let’s hope we’re celebrating after November. Happy birthday and congratulations! I’m looking forward to what the next year holds. Congrats Sebastian, and keep up the good work. Congratulations, and keep doing things the way they are. This blog has been one of my every day must-reads ever since I found it. I don’t know what your blog was like three years ago or what your “voice” was, but I’ve really enjoyed your writing this year and plan to keep reading. You guys are one of my “must look” destinations when I wind down and surf the net. Thanks for the effort that goes into what you put up. Thanks for the kind words. Hopefully we’ll have interesting things to talk about this year. Past few months have been (thankfully) boring. Hoping for good things to talk about though.